Your Vote is Needed - and Now Online and Easier Than Ever. Every three years, hundreds of building industry members from across the nation convene to develop the next U.S. model building energy code. 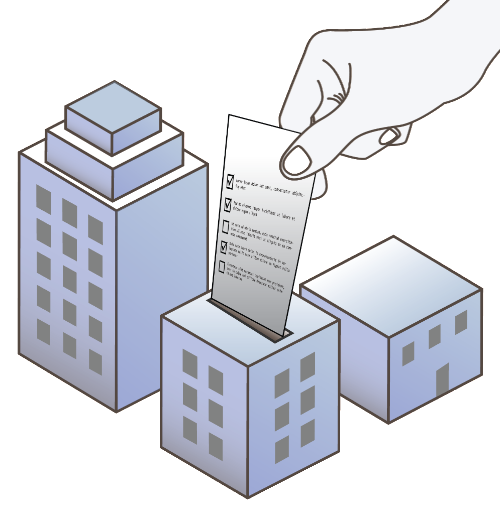 The consensus process is designed to ensure that modern-day technology and building practices are incorporated into the current model building code. Earlier this year, some members of the residential code committee were more focused on lowering costs for home builders than improving energy efficiency of homes. As a result, the 2018 IECC has the potential to be significantly weaker than its previous iterations. 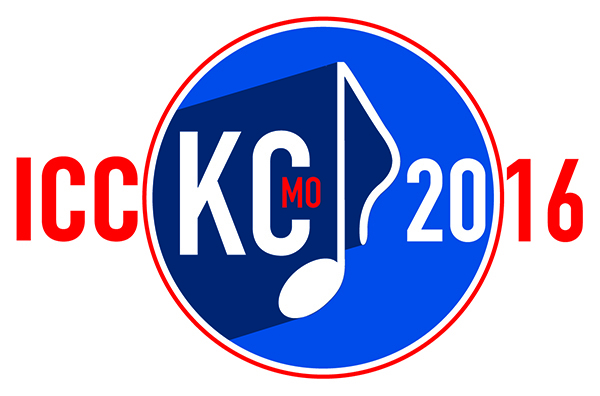 The ICC membership will have the opportunity to support or overturn these decisions during the Public Comment Hearings in Kansas City, MO and via the cdpAccess online voting system. Free Webinar: Will the nation's model energy code save energy in 2018? AIA is offering participating architects up to eight Health, Safety, Welfare (HSW) continuing education units (CEUs). This represents a large portion of the total CEU requirements for architects. Join your colleagues in Missouri this October to enjoy tours, special events, and in-depth educational sessions. Listen to keynote speakers and maximize every opportunity to network with peers and industry experts at the networking luncheon and the new Building Safety & Design Expo. Help finalize code changes to the 2018 Group B International Codes. Register now to take advantage of special pricing for early-bird registration. In addition to looking at advancing the principles of resilience in building codes and design, the White House highlighted the value of energy codes. In the private sector, the Alliance to Save Energy has committed to incorporating resilience into their existing building energy code education, development, and implementation efforts. 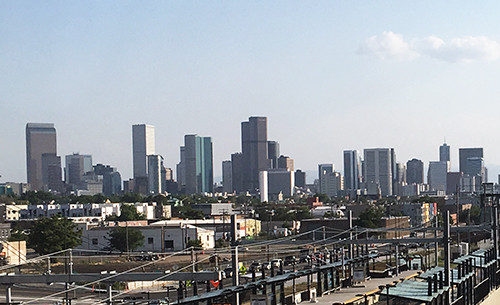 In March, the Mile-High City adopted the 2015 IECC with amendments, including a stipulation that new buildings be EV ready. That means that all new single-family homes and duplexes built in the city will have garages that have electrical wiring to support electric vehicle plugs. This new energy code will become effective on September 12, 2016. Read about local adoptions in Colorado here. On June 6th, the Columbia City Council voted in favor of ramping up energy efficiency requirements for residential and commercial buildings by adopting the 2015 IECC as written. The Midwest Energy Efficiency Alliance (MEEA) estimates that the new energy code will save over $400,000 in annual citywide energy costs. Read about local adoptions in Missouri here. Alabama has joined the growing list of states that have adopted the Energy Rating Index (ERI) compliance option to the 2015 IECC. Last month, DOE's Building America Solutions Center added several new briefs providing code-specific information on topics such as insulation of common walls in multi-family buildings and attic duct work in humid climates. 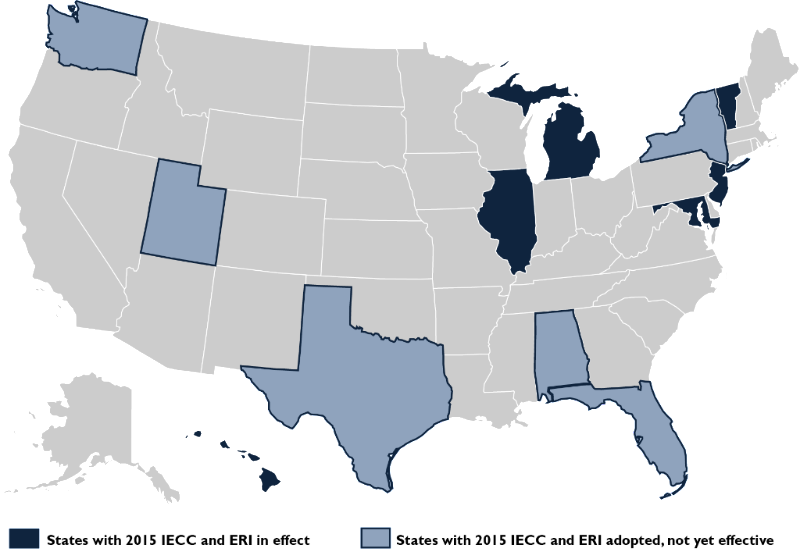 There are currently 25 briefs in total, all intended to educate code officials and other interested parties on Building America's research, best practices, and innovations. View all the Code Briefs here. BCAP is proud to announce a new resource for REALTORS® developed by BCAP, the Appraisal Institute (AI) and the National Association of REALTORS (NAR). As homes are increasingly listed with energy efficient features in Multiple Listing Services (MLSs) around the country, it is important for real estate professionals to both understand the benefits of energy efficiency, and how to best communicate with clients about efficiency. When they understand the impact that efficiency upgrades can have on new or existing homes, real estate professionals can advise and refer clients to additional actions they can take to further improve home performance. The National Association of REALTORS® offers NAR’s Green Designation program to those agents interested in high performance, resource efficient homes. 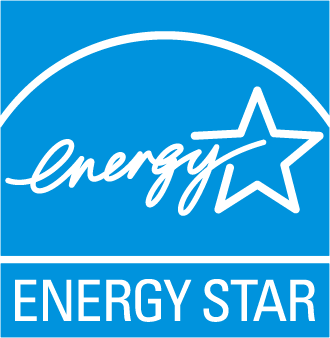 Agents with this special designation are better prepared to serve the public on issues of energy efficient and green properties, and to ensure that these homes are appropriately valued by appraisers. 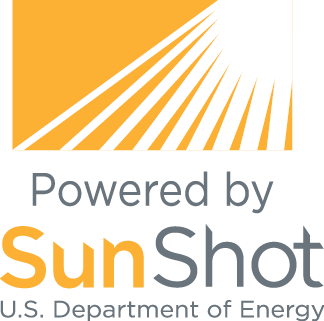 In partnership with the Center for Sustainable Energy (CSE), BCAP will develop solar-related educational materials and provide targeted training to design professionals, including architects and engineers, in 22 key metropolitan areas across the nation. When design professionals and engineers better understand how solar impacts their day-to-day work, they can support solar growth and eliminate barriers to widespread acceptance. Free Photovoltaic Online Training Course for Code Officials: Learn how to verify that plans and the installed array are in agreement, how to avoid common installation mistakes, and much more. Course may provide you with 0.6 CEUs. Building America Solution Center: a great resource for finding answers to your questions about energy codes. You’ll find expert information on construction topics such as air sealing, insulation, HVAC components, windows, indoor air quality, and much more. ICC has published a guide called Energy Code Essentials for the 2015 IECC. 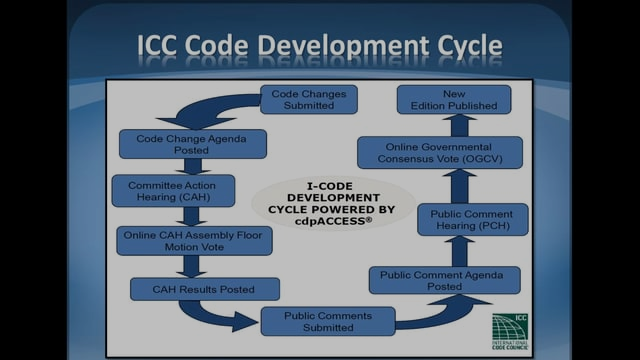 The DOE Building Energy Codes Program is hosting a webinar-based training series called the Energy Code Commentator. Events are held regularly on the second Thursday of each month at 1pm (eastern). Check out the training portal for the scheduled lineup and recordings of past events.